Sir Howard Davies` recently published report on the future of hub airport capacity in the South East has set out, if not definitively, some very clear and prioritised options, designed specifically to help London compete with, amongst other, Schiphol, Frankfurt and Charles de Gaulle in the global competition for hub airport business. Following Sir Howard’s report, the Government has indicated that a formal and final decision will be announced by the end of this year. Nobody should be surprised that airports such as Manston did not receive recommendation from Sir Howard. Manston never has been and never will be in the hub airport league. Those that suggest otherwise clearly have little or no grasp of the aviation industry. However it is clear that, between a decision being announced and an aircraft actually touching down on a new runway – whether at Heathrow or Gatwick – there lies some fifteen years of land acquisition, design, public inquiry, demolition and construction. During that time UK PLC will be losing business to our international competitors unless we take advantage of every interim option available to us. It is within this context that Manston Airport needs to be seen as a crucial national as well as a regional asset. Manston Airport is and remains the preferred option for Bristow`s Straits of Dover Air/Sea Rescue service. It also offers potential as the major South East diversion airfield – a role currently but not indefinitely undertaken by a Stansted that is ill-equipped for the task because of its other commitments. Perhaps most crucially, in terms of the ongoing capacity problem, only Manston has the potential to accommodate large freight aircraft, thus freeing up significant space at each of our South Eastern passenger airports. Once up and running it can also offer charter, general aviation, package holidays and potentially some scheduled low-cost passenger services as well. All of that, taken together, makes this a facility that the country cannot afford to lose, and that is why politicians at the most senior level of Government have recognised the case for Manston to remain an airfield. It was I suppose inevitable that those seeking to capitalise on Manston Airport for other purposes should in desperation resort to black propaganda, smear and innuendo in an attempt to protect what they regard as “their” property, and to exploit what they believe to be its value as a piece of real estate. (I will take no lessons in “misleading” from people who are so cheapskate and inefficient that they have found it necessary to resort to the unauthorised use of another company’s copyright material to illustrate their “masterplan” – a concoction which I believe that, using my skills as a journalist and perhaps the assistance of one of Hartsdown Academy`s excellent graphics students, I could have knocked out in the course of a working day). Thanet has too many hectares of unused potential industrial space already and some of that land will need to be hived off as a substitute for the proposed use of Grade One agricultural land for housing in the draft local plan. Additionally, the much vaunted “Discovery Park” has considerable unfilled capacity remaining available. Any use of Manston Airport for industrial purposes would inevitably compete with existing under used sites such as the KCC-owned Manston Business Park adjacent to the airport and China Gateway. Self evidently, there is simply no need for additional industrial space in Thanet either now or for the foreseeable future. Moreover, Thanet`s housing need is already over-provided for in the local plan. Unless the Island is to become a dumping ground for London`s overspill, then house building, beyond our immediate local needs, has to be matched against employment opportunities. Taking into account this context, it is clear that there is simply no need to use land at Manston Airport for housing. Turning to leisure options, I have looked in the past at companies which might invest in leisure facilities – Centerparcs was one such – and the harsh reality is that major investment requires a significant catchment area. Three quarters of Thanet`s catchment area is water. This has always deterred the largest leisure companies in the past and it will, I believe continue to deter them in the future. Dreamland and the Turner contemporary, as day attractions, most certainly have their part to play, but the concept of a Disney-scale development is pie in the sky. I have been approached by a company which has an outline proposal for a film studio. Thanet certainly offers great potential for location film-making and we should promote the whole area as such. A sound-stage complex, though, as I know from my past experience working for Universal Films and in television, is a very different beast. While there is some demand for additional space, Pinewood Studios, the owners of the ‘stolen’ copyright picture, are already creating additional capacity to take up that slack. Those facilities will be on stream by next year. There is also the small matter of the local plan. Whatever name those in present control of the site may seek to impose, in a crass attempt to erase Manston`s proud name from the map, Manston is designated as an airport in the current local plan. Unless and until a fresh draft local plan, has been published – taking account of all of the objections that have been lodged in respect of the first draft, the results of a further consultation, Inspector`s report and recommendations by the Secretary of State, all of which will take at least two years – Manston is, and remains, signed off for use only as an airport and for aviation – related purposes. That will not be changed in the foreseeable future. In short, I do not believe that a consortium which has generated only a few new (as distinct from transferred-in) jobs at Discovery Park, and which has manifestly not delivered on the promised 10,000 jobs at Wynyard Park on Teesside, is going to generate, even within a proposed 20-year timespan, a faction of the blue-sky proposals that have been published to date. By contrast there is, as I have already shown, an urgent need for Manston as an operational airport. Although the site has been stripped in an attempt to reduce its operational capacity, most of the damage is superficial and can be rectified, albeit at a cost, relatively easily and swiftly. There is a company, RiverOak, who originally offered the owner, Mrs. Gloag, the full £7 million asking price before the airport closed. That offer was rejected for reasons that I suggested to the Select Committee when it conducted its inquiry in the last parliament. I hope and expect that the new Select Committee, under the same chairman, will be offering Messrs Cartner and Musgrave and Ms. Gloag in person, and Cllr. Carter, the opportunity to respond to some key questions which remain unanswered. RiverOak remain ready, willing and able to take over the airport, to make the necessary investment to return it to operational capacity and to recommence commercial traffic. The Secretary of State for Transport has indicated at a recent meeting with Craig Mackinlay and myself, that once the requirements have been met, he will ensure that the CAA operating license is reinstated. RiverOak has already deposited funds in a UK bank in order to meet the immediate needs of Thanet District Council as soon as an indemnity agreement is signed. More funds, as necessary, will follow and I have met personally with directors of the company and with investors who are, I believe, of sufficient substance to bring the project to fruition. It has been said that “Manston has always failed as an airport so why should RiverOak succeed?” Setting aside the fact that no company of any significance would be prepared to invest the millions of pounds necessary to restore full facilities at Manston unless they believed that it was going to work, the RiverOak business model is fundamentally different from that of its predecessors. They intend to ensure that the financial base of the Airport is sound and sufficiently well-capitalised over a long enough period to make the business pay. That business will be based, first, upon a cargo hub and aviation related enterprises that are not seasonally sensitive. As and when – but only when – the revenue stream is established on a rock solid commercial footing they will then return to the passenger traffic and other flying operations which will provide the icing on the cake. Riveroak have stuck with this project and this concept for this long because they believe in it. And if they are prepared to have faith in their ability, in the teeth of some very adverse and hostile opposition, then so am I. Finally, let us examine the political mandate for the process necessary to restore Manston Airport to its rightful place in our bank of national assets. Thanet`s two Members of Parliament were both elected on a clear undertaking to seek to deliver Manston as a working airport again. Add to those votes the ballots cast in favour of two UKIP candidates, each of whom stood on a pro-Airport ticket and there is an overwhelming majority, at a parliamentary level, to re-open Manston Airport. Next, consider Thanet`s District Council. The UKIP Mandate was practically single-issue: vote UKIP and we will instigate a Compulsory Purchase Order on Manston. UKIP was elected to control Thanet Council with a very significant majority, and the second -largest Party, the Conservatives, were also elected on a pro-Manston Airport ticket. 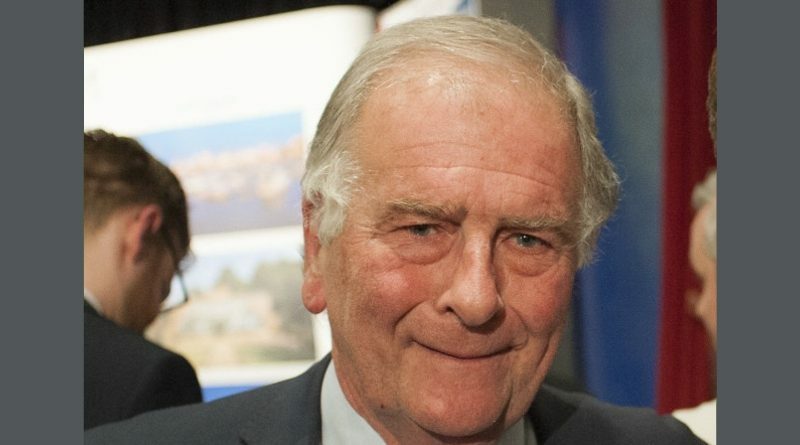 Kent County Council, notwithstanding the recent antics of its present Leader, has also voted unanimously – without the conditions subsequently superimposed by Cllr. Carter – to give political support to TDC in any CPO bid that the latter saw fit to make. Finally, there is significant recognition and support, from Downing Street and from the Department of Transport, for the locally expressed determination to see planes flying once again, and generating business from Manston. Thanet Council, having engaged with appropriate legal advice, now has the opportunity and the political support at every level – I have made my own clear as have others – to instigate the Compulsory Purchase process. There will, inevitably, be a public inquiry at which all of the most searching questions will have to be asked and answered. The Inspector will then submit his findings to the Secretary of State for Local Government and the latter will exercise his judgement. I hope and believe that the Leader of Thanet Council and his Cabinet can, with the wholehearted support of my Conservative Council colleagues, finally deliver what the people of East Kent have conclusively voted for: the re-opening of Manston Airport and the opening of a new chapter in the history of aviation in the South East.